In the past, cakes were primarily created for special occasions such as birthdays, anniversaries, and some holidays. Today, we are surrounded by cakes created by wonderful, talented bakers and sugar artists. Although we have to budget for some of these cakes, a good majority of confections are available at a reasonable price to decorate your holiday dessert table. 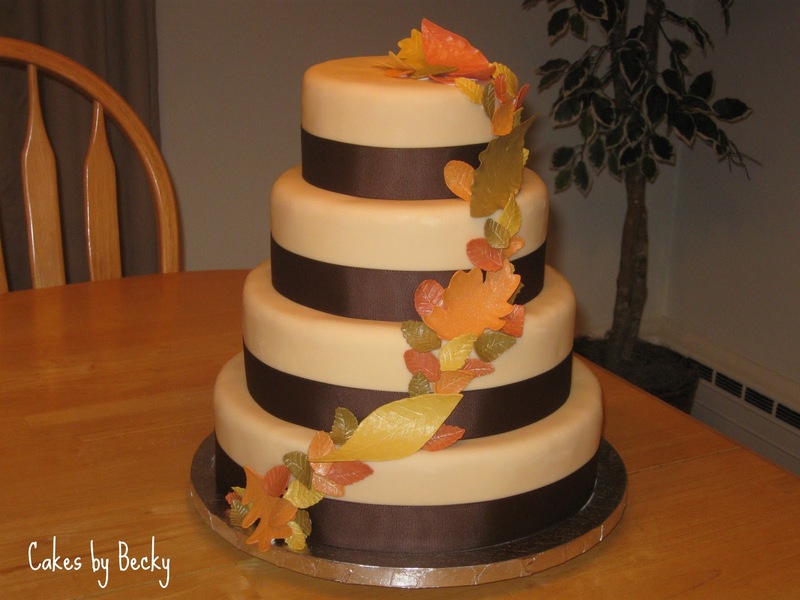 Becky Pendergraft of "Cakes by Becky" created a beautiful fall cake that would be ravishing on a Thanksgiving dessert table. Imagine...the pie...the Jello-Fluff...and this marvelous wonder. Your guests would be in complete awe over the time spent on making this cake. It doesn't have to be a four tier cake, either. Fondant is easy to make, and you could use your favorite frosting. Time....yes. It does take time. But this cake could be made a couple of days in advance and decorated the day before. Your other option is to call Becky or another cake artist to see if they have time for a specialty cake. Here's another photo of mini pumpkin cakes by Becky Pendergraft. Aren't these delicious looking? 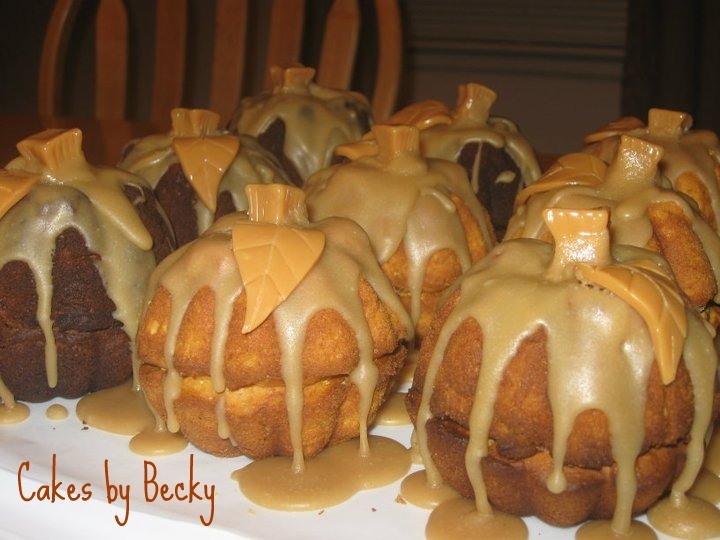 Another baker with a flair for the fall is Cakes by Benisha. This cake in the photo below was a wedding cake a couple of years ago. Creamy goodness! Wouldn't that look darling on your Thanksgiving table? For me it is inspiring. Although I eat enough cake during critiques, I still have a soft spot for making my own. There is hardly anything more pleasing than to take raw ingredients and make them into something like this--something you can be proud of! It takes some practice to get good at it, but when you are good at it you will know it. Your friends will start calling you for birthday cakes. Mark my word.